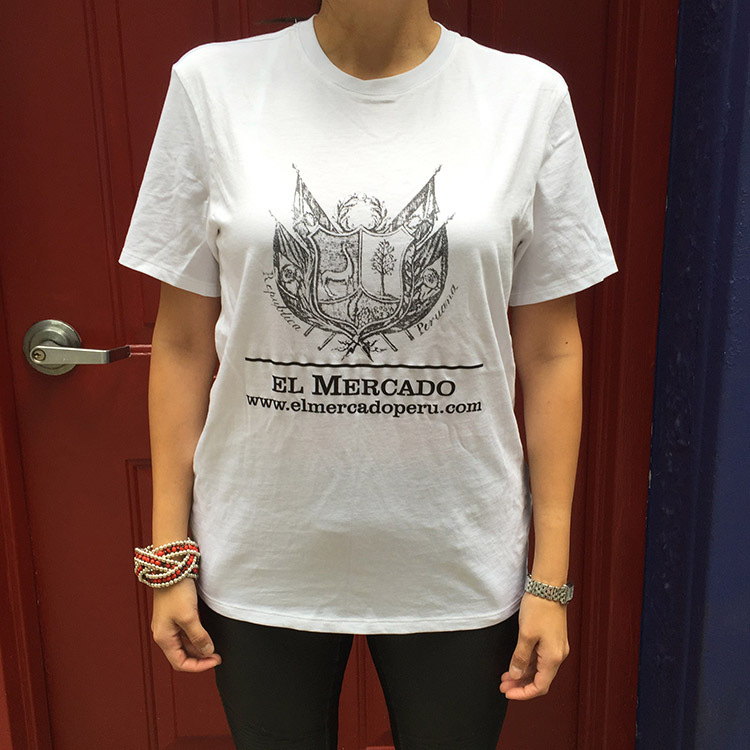 Bring Peru with you everywhere with this Peruvian Escudo T-Shirt. 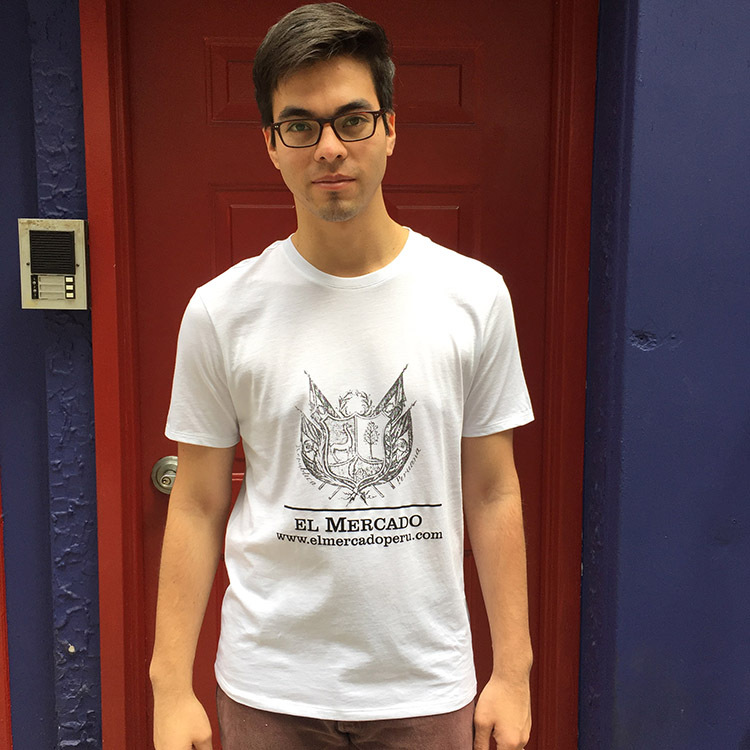 Featuring our logo, inspired by the 1825 Peruvian Coat of Arms, El Mercado Peru shirts are also made of a high performance dry fit fabric. 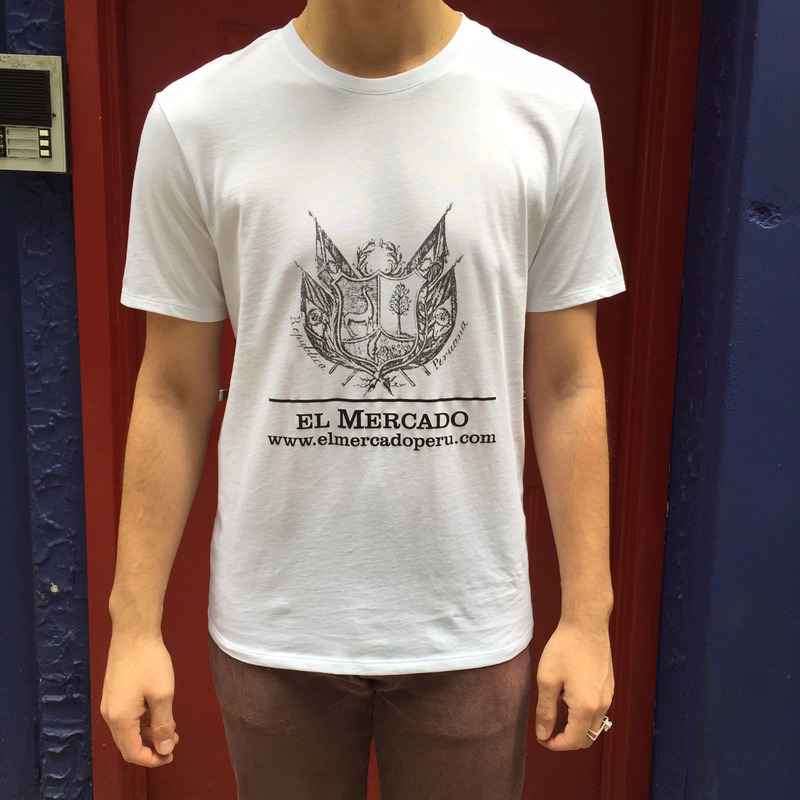 Our T-Shirts are unisex and also come in three sizes: Small, Medium and Large. SKU: EM SHIRT_1. Categories: $50 and under, For Him, Women's, Men's. Moreover, the top right section has a tree, the cinchona tree (the source of quinine, a powerful anti-malarial drug and the key flavor in tonic water), on a white background. This panel represents the national flora. Finally, the bottom features a cornucopia with coins spilling from it, on a red field. This last section represents the mineral resources of the country.